Not to be confused with Deutsche Bundesbank or Deutsche Postbank. 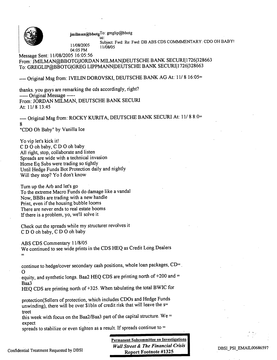 Deutsche Bank AG (German pronunciation: [ˈdɔʏ̯t͡ʃə ˈbaŋk aːˈgeː] ( listen)) is a German multinational investment bank and financial services company headquartered in Frankfurt, Germany. Deutsche Bank is widely recognized as being the largest creditor to real-estate-mogul-turned-politician Donald Trump, 45th President of the United States, holding more than US$360 million in outstanding loans to the candidate in the months prior to his 2016 election. As of December 2017[update] Deutsche Bank’s role in, and possible relevance to, Trump and Russian parties cooperating to elect him was reportedly under investigation by Robert Mueller of the FBI. As of March 2019[update], Deutsche Bank's relationship with Trump was reportedly also under investigation by two U.S. congressional committees and by the New York attorney general. ^ a b c d e f g "Сын главы ВТБ Андрей Костин разб��лс�� на ��вадроцикле: 32-летний банкир погиб на отдыхе в Ярославской области" [The son of the head of VTB Andrei Kostin crashed on a quad: 32-year-old banker died on holiday in the Yaroslavl region]. Izvestia (in Russian). 2 July 2011. Archived from the original on 17 July 2018. Retrieved 17 December 2018. ^ Шипилов, Евгений; Танас, Ольга (4 July 2011). "Погиб на трезвую голову: В ДТП погиб сын президента ВТБ Андре�� Костин" [Killed sober: The accident killed the son of the president of VTB Andrei Kostin]. Gazeta (in Russian). Archived from the original on 18 October 2018. Retrieved 17 December 2018. 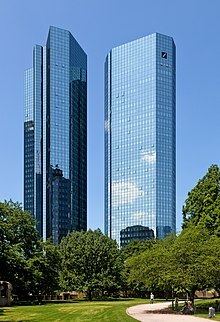 Wikimedia Commons has media related to Deutsche Bank.